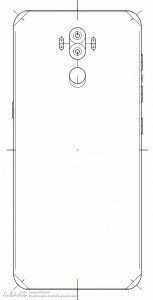 Alleged schematics of the Galaxy Note8 appeared and confirm Samsung will keep the fingerprint scanner on the back and will not implement it under the screen, as many expect. 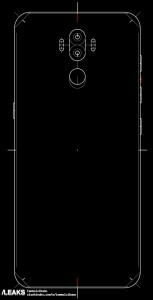 The schematics show the back of the Galaxy Note8 with a vertical dual-camera setup and a fingerprint scanner below. There is also a separate scheme that illustrates the screen of the phone will have curved edges. 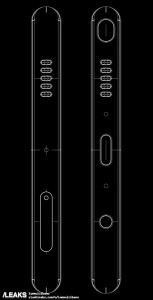 According to the leak, the USB-C and the 3.5 mm jack will be at the bottom, right next to the S Pen slot and the speaker. 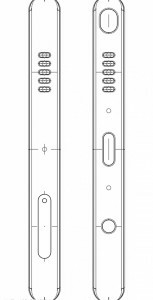 The microSD/SIM card slot will be positioned at the top, right next to a second stereo speaker. There is no image of the front, but rumors already suggested Samsung will stick to the Infinity Display and get rid of the home button. This looks very similar to Huawei Mate 9! Most probably wrong rumor. Just because we doesn't get to see the sides now, doesn't mean this isn't a schematic. It just means the sides weren't included in this leak, for whatever reason.